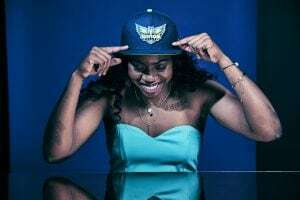 Dallas Wings 2019 WNBA Draft: What Are People Saying? Family is everything for @Arike_O. “For Arike Ogunbowale, the trip to the top of the Empire State Building on Wednesday was unusually fast. The @DallasWings drafted Arike Ogunbowale. That’s awesome. “Yeehaw, folks. 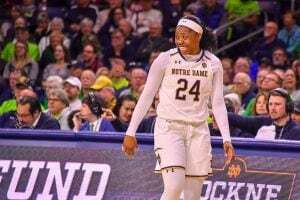 Star Notre Dame guard and Dancing with the Stars alumnus Arike Ogunbowale is starting her career as a professional basketball player in Dallas, where she’ll join fellow Notre Dame alumna Skylar Diggins-Smith. “After a collegiate career full of accolades and smiles, Megan Gustafson is officially on the professional basketball scene. It’s a dream that’s been building for a while. 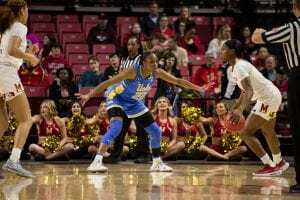 “Kennedy Burke of the UCLA women’s basketball team was selected by the Dallas Wings in the 2019 WNBA Draft presented by State Farm on Wednesday evening. 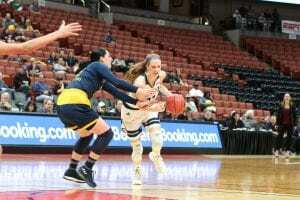 “Following a record-setting four-year collegiate career in which she shattered numerous career and single-season marks, UC Davis senior biomedical engineering major Morgan Bertsch will take her talents to the professional level this summer, selected with the 29th overall pick by the Dallas Wings in the third round of the 2019 WNBA Draft on Wednesday evening.